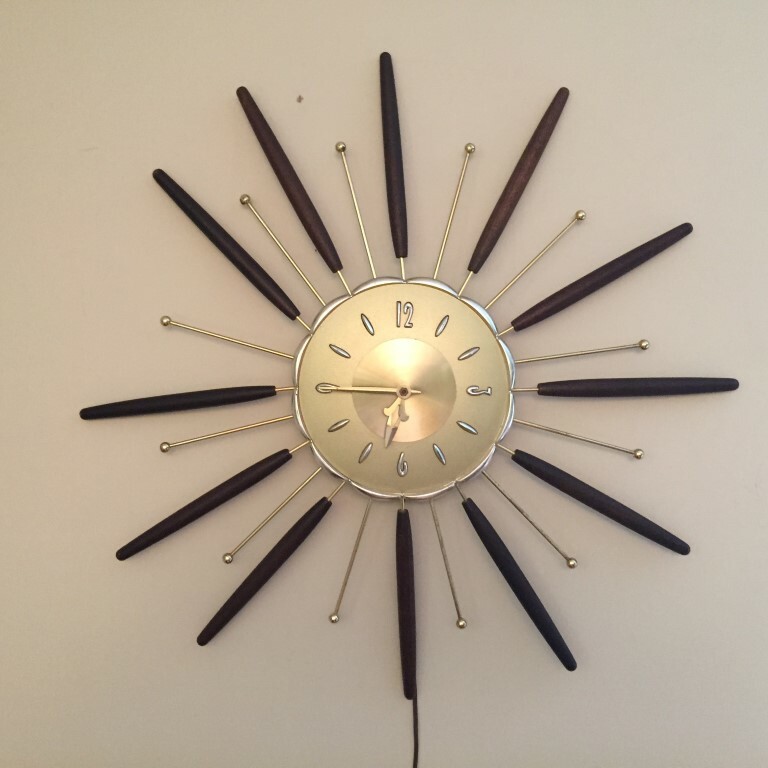 Make a Bold Statement with this Mid Century Modern Electric Atomic Starburst Clock with Alternating Solid Walnut and Brass Spokes culminating in mini atomic balls. This vintage clock has a warm, brushed brass face and a maximum diameter of 27 inches. With minor wear on the brass spokes, this time piece keeps accurate time and is a must have for the Mid Mod Enthusiast.